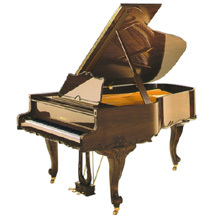 Each of our grand pianos is an instrumental masterpiece offering the opinion of permanently unalloyed joy. Built for people who prefer and favors the genuine, the original and thus the better to everything else. 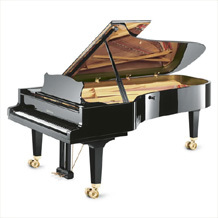 Music lovers who make as few compromises with the realization of good music as they make with the selection of an adequate grand piano. Sooner or later they all end up with the brand GROTRIAN. The CHAMBRE surprises with its balance of register and a range of colours that can transform your living room into your very own concert hall. Every CABINET has its secret. As the years go by it develops its unmistakable character and takes on the personality of the connoisseur whilst always remaining a GROTRIAN. CHARIS has a sound with such an impressive dynamic spectrum and such well-balanced transparency that it becomes a source of inspiration for the pianist. Sharing pleasure with others - dialogue between musicians, communication with an eager audience. 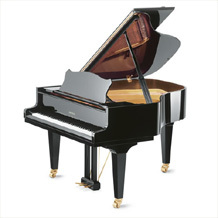 All the force of forte and softness of piano can be achieved with CONCERT's modern 225 dimensions. 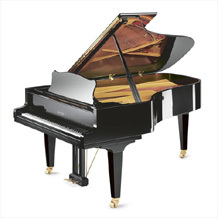 The CONCERT ROYAL is truly an "orchestra grand piano". Fullness of sound and brilliance make it the instrument of a virtuoso. 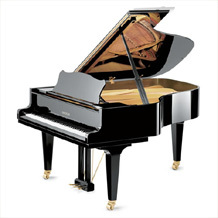 A grand piano for unforgettable evenings of pleasure in great music. 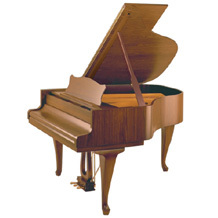 Special Model Salon Grand Piano 192 CABINET Rokoko, Walnut Polished 6’3”. 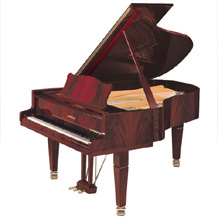 Special Model Salon Grand Piano 189 EMPIRE Pyramid-Mahogany, Polished Surface, 6’2” in length. 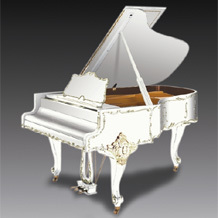 Special Model Salon Grand Piano 192 CABINET Louis Quinze, White Matt with Golden Ornaments, 6’3”. 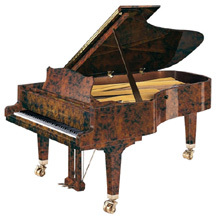 Baby Grand model 165 CHAMBRE Chippendale, Walnut Satin, 5’4. 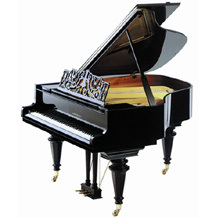 Baby Grand Model 165 CHAMBRE Clara Schumann, Black Polish, 5’4.